FroBunni: Washing Your Hair with Tea? 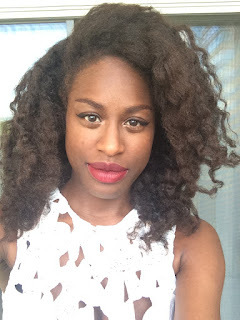 How Tea Can Solve Your Natural Hair Woes! Washing Your Hair with Tea? How Tea Can Solve Your Natural Hair Woes! Confession, I haven’t used shampoo or condition in over a year. No, I’m not a new age hippie or someone who subscribes to the “God made dirt and dirt don’t hurt” philosophy. I haven’t used shampoo because I’ve been washing my hair with plants. I’m the owner of DirtTea Girl Primitive Hair and Body, and my herbal hair tea rinses (made from only plants and water) are a modernly minimalist approach to great hair. I know, I know, “not another natural hair cure.” But unlike the last next big thing, I don’t want to sell you on the idea that I can “fix” your hair. I want to sell you on the idea that it’s not broken (you’ve just been hiding it behind products). My hair teas remove all of the sticky, flaky, gooey, crunchy stuff that stands between you and your hair, allowing you to see your hair (perhaps for the first time) as it really is. Not stripped, not dry, not coated, but hydrated and balanced. Since kicking shampoo and using DirtTea Girl hair tea exclusively, my hair has thrived in a way I didn’t think possible. It is within 1-inch of reaching my belly button, and while I practice all-around healthy hair habits, I know the hair tea has been the biggest contributor to my new length. So let’s get down to it. What is hair tea? Why should I use it? Can you effectively wash your hair with plants? Hair tea is a rinse made from infusing specially selected dried herbs and plants in water. Hair teas can be used to cleanse, condition, and color the hair, as well as to treat specific scalp concerns. So DirtTea Girl hair tea rinses come in 3 categories: cleansing (to clean your hair), conditioning (to condition and soften), and treatment (to treat specific hair goals such as growth or thickening). Many hair and scalp issues are actually caused by the harsh detergents used in commercial products. 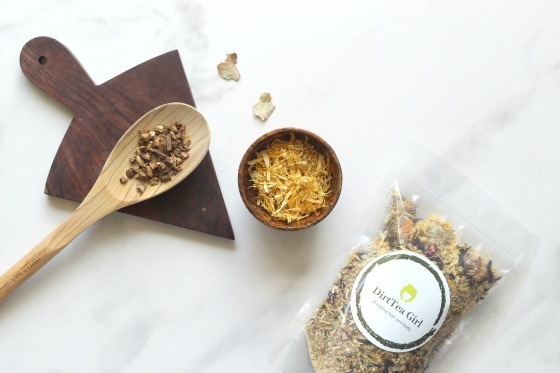 DirtTea Girl hair teas use Ayurvedic herbs and carefully crafted recipes to naturally and gently restore your hair to its best state. For starters, DirtTea girl hair tea rinses can stimulate growth, banish flakes, remove buildup, and cure the itchies. If that’s enough, then you should know they are a game changer for washing locs and protective styles. The consistency and the absence of commercial soap means you can finally wash your faux locs, twists, and Fulani braids without having to drench them endlessly to get the shampoo out. DirtTea Girl rinses from your hair as easily as water. In addition to ease of rinsing, your protective styles will last longer because each DirtTea Girl hair tea recipe is Ph balanced to reduce frizz and hold on to moisture. So your hair will grow, your scalp will thrive, and your goddess braids will remain heavenly for longer. Can you effectively wash your hair with plants? Yes! Certain plants contain natural saponins (basically plant soaps) which are very effective at cleansing the hair without stripping it or leaving buildup. There are plants for conditioning the hair, detangling, coloring, lightening, softening, you name it. People have been using plants to wash their hair for thousands of years, we’re just making it better. 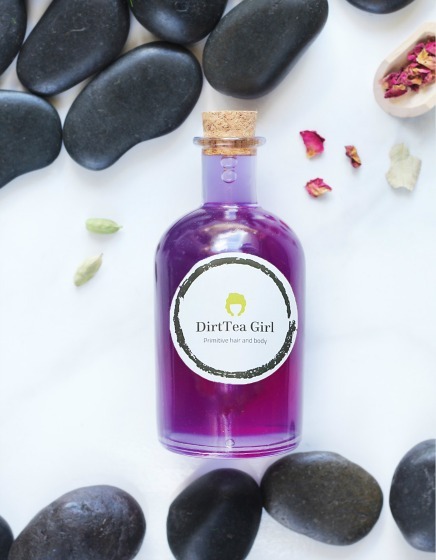 DirtTea Girl hair tea rinses combine the most effective herbs in the precise quantities needed to help you enjoy the best version possible of your hair. Want to learn more about DirtTea Girl? Follow me on instagram (@DirtTeaGirl) or check out my etsy store. I’m currently working on a new website so please feel free to slide in my DMs if you have a question I haven’t answered or if you would like to collaborate.